Lawyers’ Rights Watch Canada welcomes the report of the Independent International Fact-Finding Mission on Myanmar. We urge all States to accept its recommendations for investigation and prosecution of senior Myanmar military officials for genocide in Rakhine State, and crimes against humanity and war crimes in Rakhine, Kachin and Shan States. The International Court of Justice’ has confirmed the duty of all States to prevent genocide wherever it occurs. Prevention necessitates ending impunity through investigations and prosecutions. Myanmar’s outright rejection  of the report accentuates decades of military impunity. This impunity must be stopped. Regional affirmations of FFM findings by Indonesia  and Malaysia  are welcome. Responses from other ASEAN members range from silence to rejection, as by Cambodia’s Prime Minister. Thailand police recently suppressed discussion of the report at the Foreign Correspondents Club of Thailand. We join the 132 ASEAN parliamentarians from Indonesia, Malaysia, and Philippines calling all Security Council members to refer the situation in Myanmar to the International Criminal Court. We also ask all States to seek a General Assembly resolution for an international mechanism to gather and preserve evidence of genocide and other atrocity crimes in Myanmar, to enable prosecutions of those responsible. 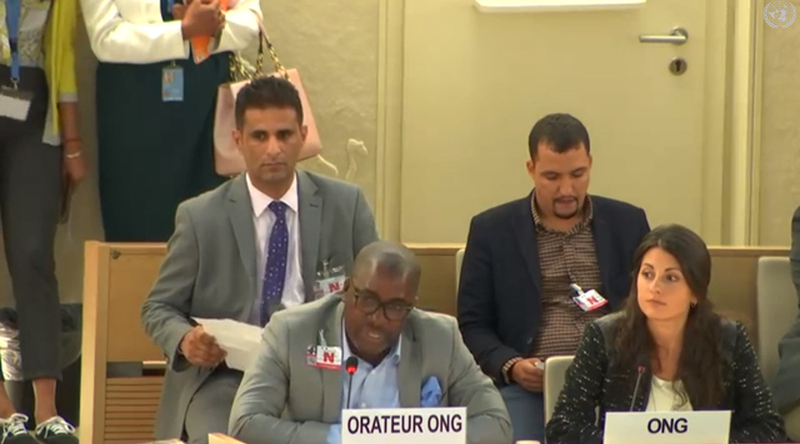 Report of the Independent International Fact-Finding Mission on Myanmar, A/HRC/39/64, 24 August 2018, https://www.ohchr.org/EN/HRBodies/HRC/MyanmarFFM/Pages/ReportoftheMyanmarFFM.aspx. International Court of Justice, Case concerning Application of the Convention on the Prevention and Punishment of the Crime of Genocide (Bosnia and Herzegovina v. Yugoslavia), Judgment, 26 February 2007. Ministry of Foreign Affairs, Myanmar, “FFM of 27 August will only serve to create further divisions an mistrust in Rakhine State and the entire country,” Nay Pyi Taw: MOFA, 31 August 2018. “Indonesia Urges Myanmar to Apply UN`s Decision on Rohingya,” Human Rights in ASEAN, 4 September 2018, https://www.humanrightsinasean.info/article/indonesia-urges-myanmar-apply-uns-decision-rohingya.html. Statement by Y.B. Dato’ Saifuddin Abdullah, Foreign Minister of Malaysia on the Report of the United Nations Independent International Fact-Finding Mission On Myanmar, 29 August 2018, http://www.kln.gov.my/web/guest/press-release/-/asset_publisher/FCk0/content/statement-by-y-b-dato%E2%80%99-saifuddin-abdullah-foreign-minister-of-malaysia-on-the-report-of-the-united-nations-independent-international-fact-finding-mission-on-myanmar?redirect=%2Fweb%2Fguest%2Fpress-release. ASEAN Parliamentarians for Human Rights, Myanmar authorities must be brought before International Criminal Court, say Southeast Asian lawmakers, APHR, 24 August 2018, https://aseanmp.org/2018/08/24/mp-statement-rohingya-crisis/.